Heat treated steel bushings as above, but with the addition of a Titanium Nitride coating to further increase the effective surface hardness and reduce sizing friction. 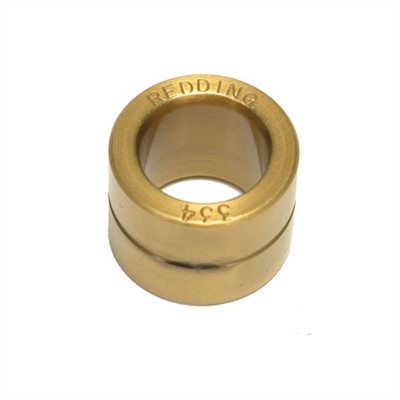 Bushings are available throughout the range of .185" thru .368" in .001" increments. The last three digits of the part (#RD76XXX) denotes bushing size.